every aspect of their past and present becoming a piece of a media profile that everyone has the right to attack as one pleases. Italy is not free of these excesses; indeed, anger against politicians often becomes a pretext to prevent any serious self-criticism and oppose any attempt to reform. The media coverage of the politics and decision making processes demand a pace and a level of depersonalization that badly accords with the personalistic inspiration that we Catholics, and humanity in general, would like to see reflected in the actions of the men and women of power. Yet, discovering the human face of politics and politicians is important in establish the moral legitimacy of politics (and with it the chance) to solve at least part of the crises we are experiencing. 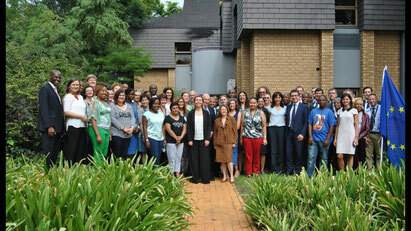 In this respect, the visit to South Africa by Federica Mogherini (former Minister of Foreign Affairs in the Renzi government and currently European Union High Representative for Foreign Affairs and Security Policy) on 25 and 26 February, offered a unique opportunity to those who could take part in to discover a trained person, sensitive and committed till the sacrifice in the exercise of her mission. A bit like David in the Old Testament, the young Federica has found herself having to deal with difficult issues (and probably most of them large than her shoulders) such as extremism, migration, crises in the Middle East, in Ukraine, in the Mediterranean. Lt's add the crisis of Europeanism in the common feeling of Europeans (which will culminate in the British referendum of June 23) and behold, maintaining a positive sense of the European mission becomes anything but a foregone conclusion. 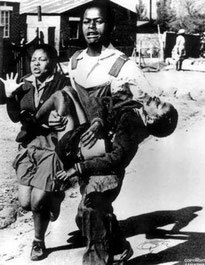 South Africa is a strategic partner of the European Union, primarily on multilateral issues (UN, Climate Change, Trade, Human Rights, etc. 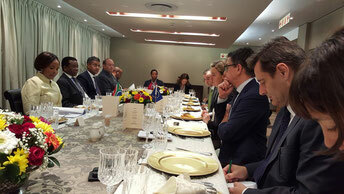 ), but also with respect to stability and sustainable growth in Africa. The economic, political and social deterioration that South Africa has been experiencing in recent years it is not without consequences for Europe and is a harbinger of great concerns. 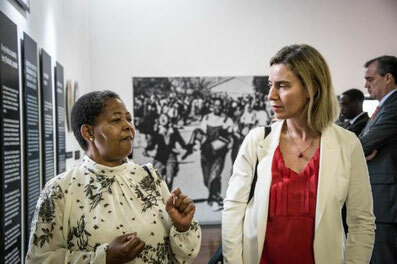 Federica Mogherini has come to consolidate bilateral relations in an important range of subjects, including: investment, trade, research, agriculture, sustainable development, energy, education, pan-African politics, global affairs, stability and security. The preparation of such a mission is highly complicated and requires an uncommon ability by the performer to absorb content and develop strategies over few days if not few hours. 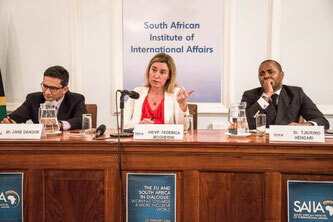 Federica Mogherini has faced the South African engagement with extreme simplicity and precision, not only during the government talks but also during the visit to Soweto, the conference at the University of Johannesburg (Witwatersrand) and the various meetings organized during the 36 hours she spent in South Africa. A tour de force that has never dimmed her smile, that has never generated personal requests, which did not prevent her to give to each one present more than asked , including with colleagues from the EU Delegation in South Africa, whether the Ambassador or the service staff. Thank you High Representative and see you soon.